MaryAnna’s offer a variety of affordable casual souvenir apparel for the whole family. We stock sizes for infants to adult 6XL. Nothing over $19.99, we are certain you’ll find something for everyone in the family. 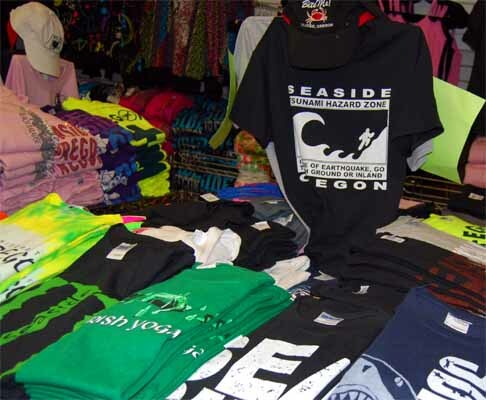 Whether you need a new hoody or a jacket to block out the cold, we have just what you need to make your visit to Seaside memorable. We screen print all of our own designs for the store. We’d love the opportunity to create custom designs for your family reunion, business or team. Custom Printing – No job too big or too small!